One of the most annoying things that I keep encountering on the web is the call for more heroines in comics and the films based on them. I understand that comic books are not everyone’s forte – before saving a few from the trash, I had been drifting away from them myself. But if the actors and actresses who play these characters onscreen have to read the comics to prepare for their parts, I wish at least some of the people who review the films and TV shows they make would do an Internet search about the material, too. If they did this, it would go a long way to improving the dialogue swirling around newly released films and shows. This is one of the reasons why I started Thoughts on the Edge of Forever, readers. I could not stand running across article after article on the ‘Net that either misunderstood something in a Marvel film or which was toeing the “comics need more heroines” line. The overwhelming ignorance/laziness/political agendas of these writers drove me up the walls, and I had to get my two cents out there or burst. I do not know how good a job I have been doing. All I can say is that I tried my best, first to tell everyone the truth, then to stop the destruction of an entertainment medium I have come to enjoy. Whether or not that has made a difference anywhere is not for me to know. However, you came here to learn more about under-used Marvel heroines, not to hear me complain! 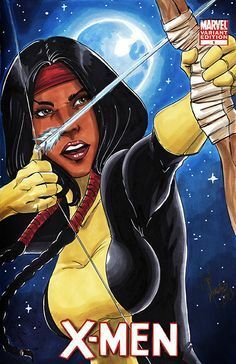 😉 Today I am listing some Marvel heroines no one talks about in large media circles – even with the debut of the bizarre, dark New Mutants movie and other ongoing projects. While Sue Richards was discussed for some time by the media, since the Fantastic Four movies finished she has sort of been forgotten. Given the fact that she was the first heroine in the Marvel universe, I think she deserves a mention, which is why she is on this list. Anyway, readers, I hope this two part directory is helpful to you. Marvel has many, many more heroines on its Rolodex. 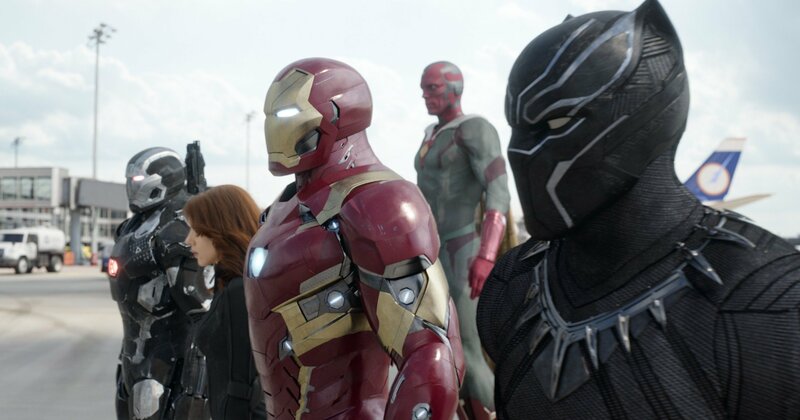 They cannot all fit in a film, which is why we do not see too many of them on the silver screen in the Marvel Cinematic Universe. But they do exist. If you want to know more about them, Google some of the ladies below and see where the links to their friends and acquaintances take you. You might be surprised and excited by what you find. 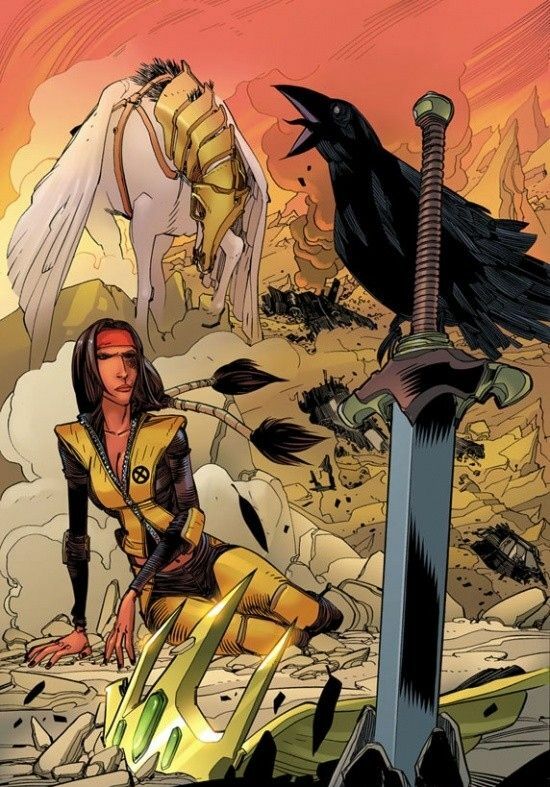 Mirage/Danielle Moonstar: Danielle Moonstar was introduced in the 1980s as a member of the New Mutants. The New Mutants were a team of mutant tweens and teens being taught regular academics at the X-Mansion, where the X-Men live. In addition, they were trained in the use of their powers, landing them in battles with the baddies from time to time. A Cheyenne Indian, Dani is an empath with quasi-telepathy. She can scan the minds of those around her and use this scan to project a 3-D image of these people’s worst fears or greatest desires.This is where her codename, Mirage, comes from. She can also use this power to communicate with most any animal on the planet, and I know of one off-world creature she can “speak” to by this method as well. This power allows her to live in the woods undistrubed by wild animals and grants her a Jedi-like “danger sense” as well. When her powers first manifested, Dani could only project images of people’s or animals’ worst fears. Not knowing how to turn her ability on and off, she ended up alienated from everyone she knew. This was made worse when her parents disappeared, leaving her in the care of neighbors who didn’t like her. Eventually, she ran away to live with her grandfather, who was later killed by a member of the villainous Hellfire Club. It was not a great way to grow up. Life at the X-Mansion was not exactly a piece of cake for her, either, in the beginning. Gradually, Dani learned to control her power and use it to generate images of a person – or an animal’s – greatest desire, not just their worst fear. 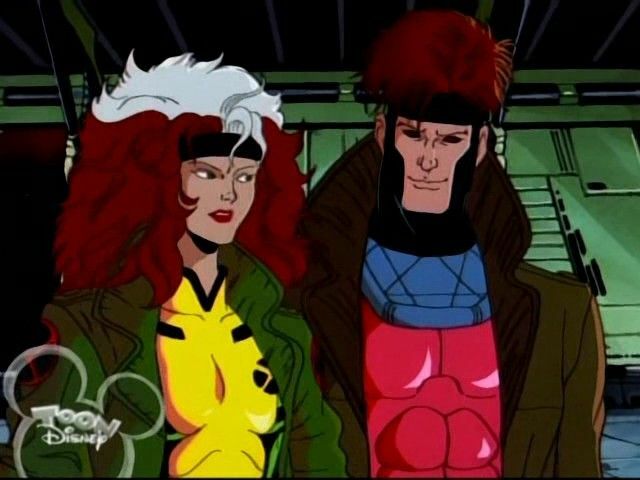 She also went on to make a lifelong friend in a fellow New Mutant from Scotland, one Wolfsbane/Rahne Sinclair. (Rahne rhymes with “rain,” just so you know. ;)) Rahne’s mutant power allowed her to morph into a wolf, or to stop halfway between human and wolf, making her look like a werewolf. Because of her ability to “speak” to animals, Dani could talk to Rahne while the other girl was in either of her alternate forms. It was painful for her to do this at first. Since Rahne is human, her mind is not like an animal’s, which meant that Dani’s power did not work with her as it did with beasts. After a while, though, “speaking” to Wolfsbane like this stopped being painful, and the two women have been close friends ever since. Dani is also a Valkyrie. 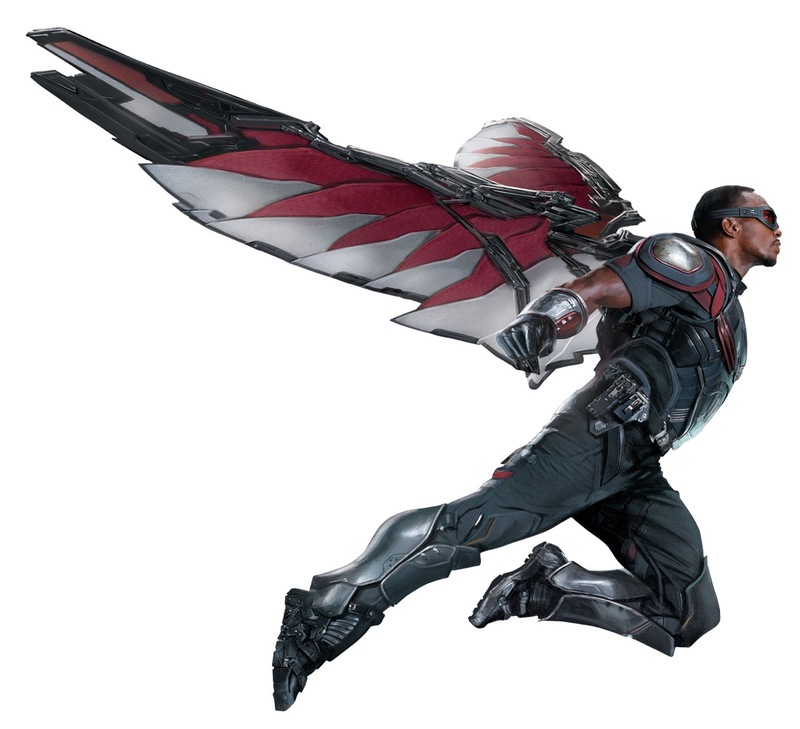 Yes, I do mean Valkyrie, like the one Tessa Thompson plays in Thor: Ragnarok. The only difference is that Dani, while a member of the Valkyrior, is still mortal. And, yes, she’s an American Indian. Mirage became a Valkyrie after finding one of their winged horses out in the woods. This horse, Brightwind, was more intelligent than any other animal she had met to date, though he is still not a rational creature. Not long after finding him, Dani was surrounded by mounted Valkyries out looking for Brightwind. Learning that she could see both them and the horse, they asked her if she wanted to join their ranks. She said yes. Because she is a Valkyrie, Dani can tell when someone is in danger of death. The person is surrounded by a “deathglow” only she (and other Valkyries) can see. This “deathglow” signals a person’s imminent demise, but it does not mean the person will die. Besides being able to see the threat of impending death, as a Valkyrie Dani has the power to tell Death or death deities – like Asgard’s death goddess, Hela – to buzz off. She can literally defend a person from death, though this does not grant whomever she is protecting immortality. It just means their death date gets moved forward to an unspecified time. 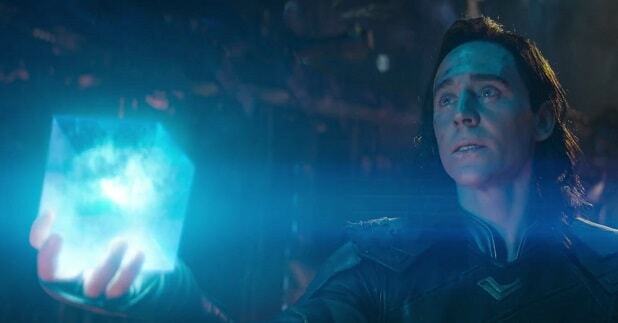 Still, this is a pretty cool power to have, don’t you think? On top of this, Dani is a very athletic woman. She is skilled in hand-to-hand combat and the use of various weapons such as spears, swords, and knives. She is also an excellent archer; she once won some arrows from Hawkeye in a shooting contest. Dani can use a rifle really well, too. She is a good swimmer and horsewoman, a talent she had before she met Brightwind. 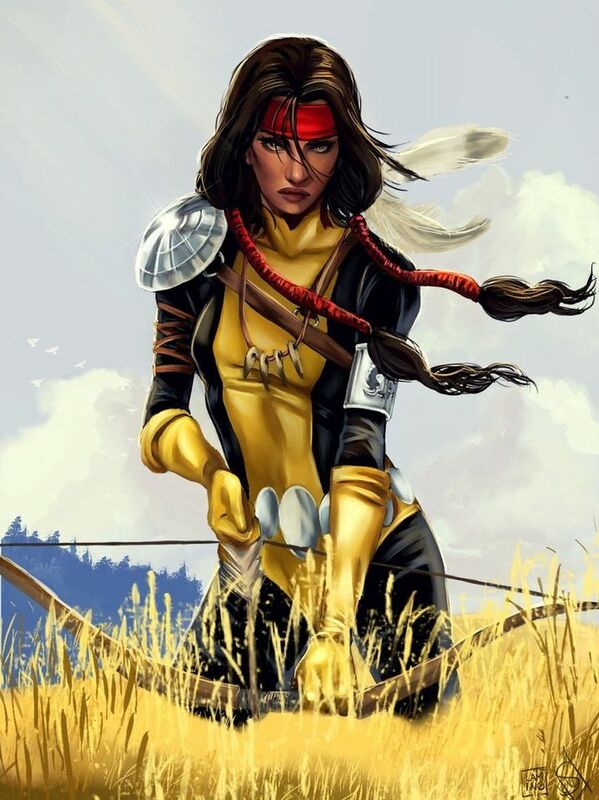 Danielle Moonstar is one tough cookie, readers – and even with the post-2015 comics, the writers don’t give her nearly enough credit these days. Misty Knight: Anyone who has seen Netflix’s Luke Cage, Iron Fist, or Defenders series probably knows something about Misty Knight. Admittedly, I am not an expert on her. What I do know is that Misty is a normal human detective from New York. She was room mates with Jean Grey in college, too. So in the comics, she came to the aid of the X-Men on occasion, and she did/does work with Heroes for Hire pretty often. Considering Daniel Rand/Iron Fist is her boyfriend, this is not much of a surprise. At some point, I believe she also ran a private detective agency with her friend, Colleen Wing. While working for the police, Misty lost her right arm. 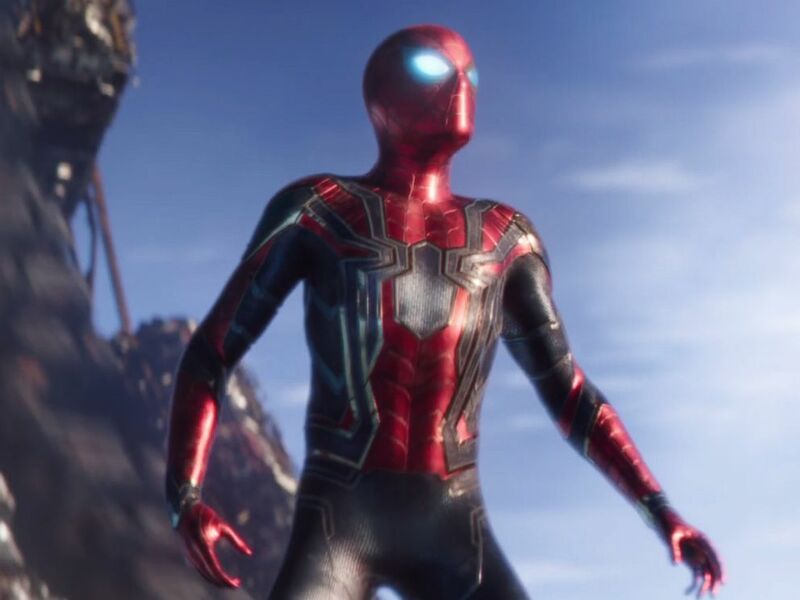 It was replaced with a prosthetic created by Stark Industries, and it hides a number of tricks in it that vary from comic to comic. I think it can cloak itself to look like a flesh and blood arm, too. With this arm, Misty is a lot stronger when she uses that “hand,” but only so long as whatever she’s lifting is not extremely heavy. The arm itself is stronger than she is, so she has to be careful about what she decides to pick up, or whatever it is could squash her. Or break her back. Or have some other unpleasant result that will lay her out flat on the floor. Throwing and punching with this arm – well, there’s a little more leeway in that regard, I think. At the very least, I would recommend not offending her to the point that she decides to hit you with her mechanical hand. In addition to her prosthetic arm, Misty is well trained in the use of firearms, making her a good to excellent markswoman. 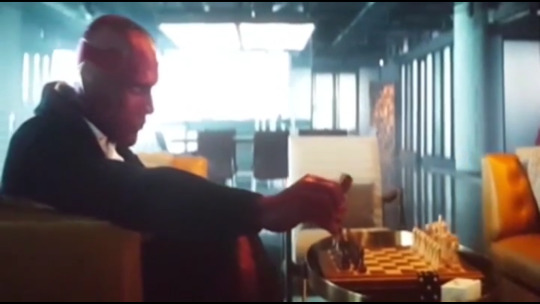 I believe she also knows some martial arts; I could be wrong but her romantic tie to Iron Fist may have been what led to her training in this area. Despite her line of work, my impression from the one “encounter” I had with Misty Knight in the comics was that she was a generally positive and friendly character. I do not know if any of that makes it into the Netflix shows or if it has been beaten out of her in the comics. All I can say is that it is a shame if she has lost this balance between work and her own personality over the years. I also think it sad that she sided with Tony Stark in the first Civil War event in Marvel Comics, while Iron Fist sided with Cap. 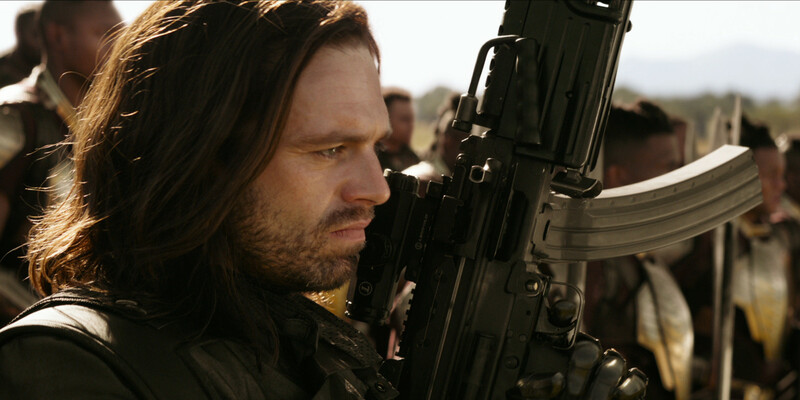 Ouch, that is totally not fair, Marvel writers. Firestar/Angelica Jones: Among my favorite TV shows growing up were reruns of the 1980s Spider-Man and His Amazing Friends. This series focused on Peter Parker/Spider-Man (naturally), Bobby Drake/Iceman, and Angelica Jones/Firestar. They fought as a team against villains like Magneto, Swarm, the Green Goblin, Red Skull, and several other bad guys every Saturday. I absolutely loved that series. So it was a surprise when I learned, years later, that Firestar was not original to the Marvel Comics universe(s). As it turns out, she had been created specifically for this TV series and had never graced any page in the books. Luckily, she was so well-received that Marvel decided to add her to the comics in the ‘90s. 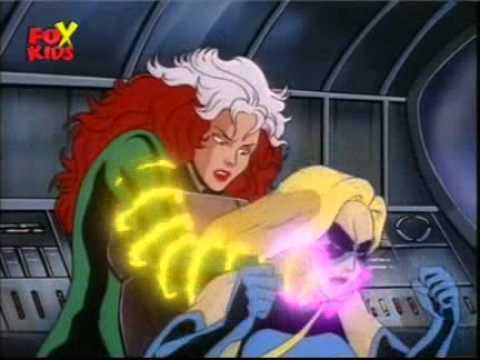 In Amazing Friends, Angelica was introduced as a mutant whose powers manifested at an early age. She could generate heat and, later on, blasts of fire from her body, specifically her hands. Eventually, she learned to use her power to fly as well. Due to her mutant power and the fact that her father, who was raising her alone, had little money, Angelica was an outcast among the neighborhood children during her youth. But this persecution did not get her too down in the mouth. She had her father, who accepted her strange power, and she experimented with her abilities in order to get them under her control. 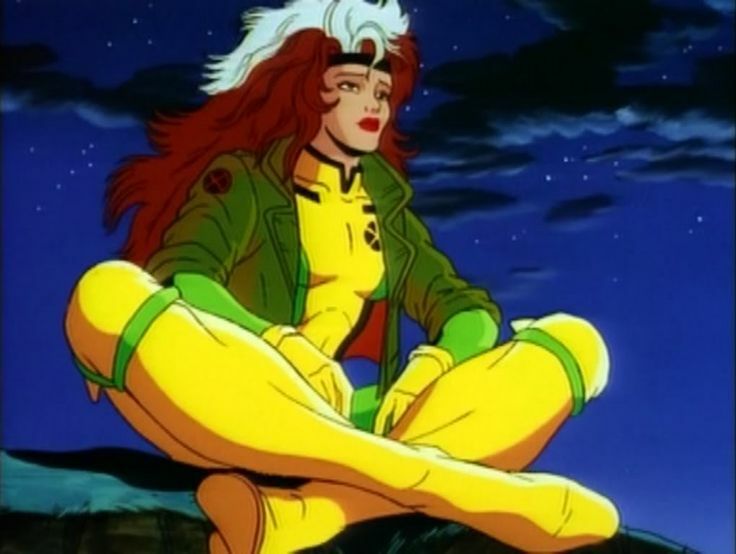 In the ‘90s comics, she joined the Avengers as a teenager alongside a fellow mutant who used the moniker Justice. Justice was a nice boy with telekinetic powers. He was greener than grass and gung-ho, while Angelica was a little more nervous and reticent. 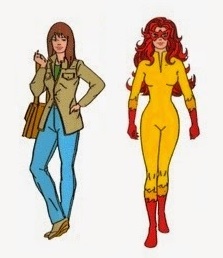 Her sense of modesty eventually won out, and Firestar’s comic book costume came to resemble the one she wore in Amazing Friends, complete with the red mask over her eyes. Unfortunately, the writers have let Angelica fade into the background in both the comics and the cartoons since the mid 2000s. As a fan of this character, I think the writers’ decision to relegate her to limbo is a mistake. She is an underutilized heroine whom I wish the show writers would bring back – pronto. 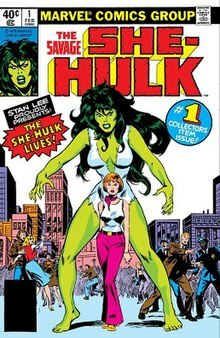 She-Hulk/Jennifer Walters: I do not know if Jennifer Walters qualifies as an under-used heroine, readers. I believe she is actually rather popular – though you would not know it, since she has not appeared on television since the end of the Hulk-focused TV series Hulk and the Agents of S.M.A.S.H. If anything, she deserves a mention for being ignored on the small screen following the cancellation of that show. The cousin of Bruce Banner, Jennifer Walters was a tomboy who was outgoing and loved sports. She would stand up to the bullies who pushed Bruce around and tried to do the same to her. It is no wonder, therefore, that she grew up to become a lawyer. 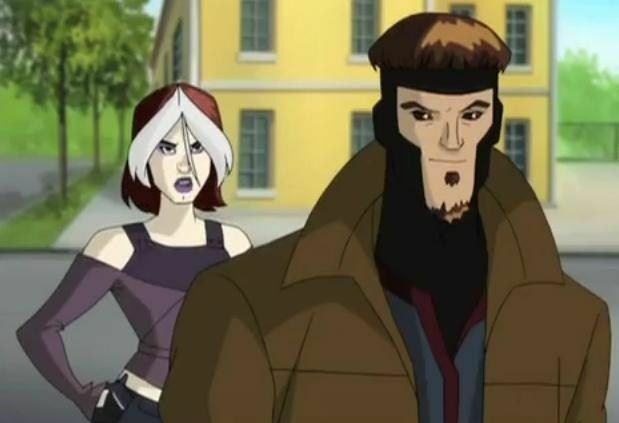 Back in the days when Banner was still a hunted fugitive, he dropped by to visit Jennifer for something/some reason. This was actually fortuitous because Jen’s latest court case almost got her killed. She landed up in the hospital after an assassination attempt, and the only way to save her life was with a blood transfusion. As a near relative, Bruce’s blood was a perfect match to hers. So Bruce threw caution to the wind and gave Jen his blood secretly. At first it did not seem to work. Then the bad guys came to finish the job and Jennifer, angered and frightened by their appearance, Hulked out. Unlike her cousin, she kept her mind and remained able to speak coherently when she did this. She knocked the hit men over and went on to win her case in court. It was not long after this that she entered the superhero gig, of course, keeping a hand in the legal world at the same time. Much more level-headed and calm than her cousin, Jennifer usually has more control of herself when she becomes the She-Hulk. This meant she could transform at will from the get-go, not to mention speak in complete sentences and “smash” things thoughtfully right from the start. Her new power also brought out her zest for life and fun, meaning she laughed a lot when she got into a fight. Jen’s biggest weakness is the fact that her ability to keep her head when she changes means she is nowhere near as powerful as her cousin, the Hulk. Even whipped into a deadly frenzy of rage, one of her other vulnerabilities, she cannot match him in power. That does not mean she cannot kill people in a fury nor do massive amounts of damage to everything around her. It just means that, in a cage match with Big Green, the Hulk would still win the fight. Her other disadvantage is her susceptibility to mind control. Though not easily defeated in this arena, like Carol Danvers is, Jennifer has a history of being unable to withstand mental assaults/control for extended periods of time. It may be one of the reasons why she has never been on my short list of favorites; she’s okay, but I do not typically get excited when she appears on screen or in the comics. Stan Lee is fond of her, though, and has compared her to DC’s Wonder Woman. I do not see the likeness, but that is probably because Jen has never been able to truly impress me. However, I will not take issue with Stan “The Man” Lee on this one. If he thinks She-Hulk is Marvel’s equivalent to Wonder Woman, then she is Marvel’s answer to Diana – end of debate. 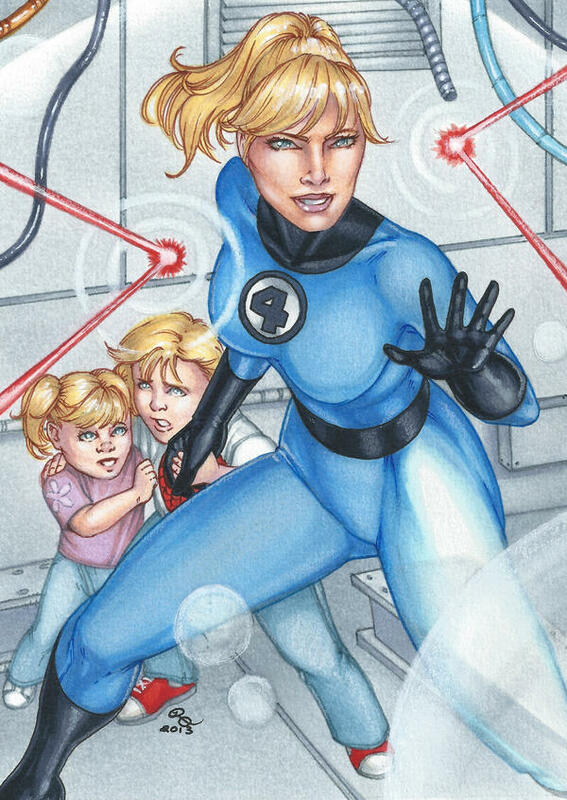 The Invisible Woman/Susan Storm Richards: As I said above, Sue was the first Marvel heroine ever. Part of the “founding family” of Marvel Comics, Susan Storm and her younger brother Johnny were members of a space mission gone wrong. Little did they know that the accident during their flight would put them on the path to becoming that famed and fabulous superhero team, the Fantastic Four. Sue is a great super heroine. She’s one of the few heroines in the Marvel universe(s) who has managed to have and raise children, not to mention be a homemaker, while remaining an active duty super heroine. Jessica Jones Cage has come close to this success, but since the writers lost their minds in 2015 I do not know precisely what has happened to her. Sue has been wife, homemaker, and mother while maintaining her super heroine career for a good part of Marvel’s history. She’s made dinner for the FF and put her children to bed after dealing with alien invasions and villainous plots morning, noon, and night. If that does not impress you, readers, I guess nothing will. One of the most powerful super heroines in Marvel Comics, Sue can bend light to become invisible to the naked eye, and she can create telekinetic shields around herself, her family/friends, or inanimate objects. She can use this same telekinetic power to lift or hold up things. If whatever she is trying to hold up or move is heavy, though, it taxes her strength a fair bit. In this same manner she can “fly” by forming a telekinetic “plate” under her feet and moving it – and therefore herself – through the air. Her power to shield things or people extends to physical attack and energy based threats, too. 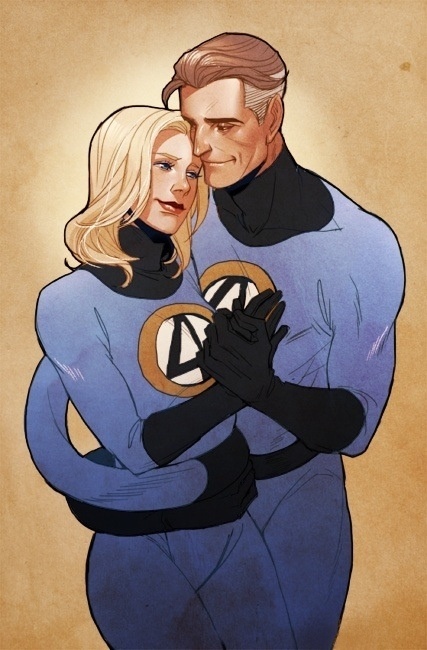 For instance, if Reed Richards, her husband, ever needs to reach down a long nuclear shaft to hit the off switch for the device, she can shield his arm the whole way to the console, thereby preventing the radiation from harming him. Sue is typically mild-mannered and polite, but you threaten her or her family at your own risk, readers. When the villains make Sue angry, they get hurt – bad. Faithful to her husband through thick and thin, Sue has been the peacemaker in her super family for years now. Well respected by the superhero community, people listen when she speaks or brings a warning, as outlandish as it might seem at first glance. She’s also a great mom to her children, Franklin and Valerie (a recent addition to the family). All of this makes Sue Richards a forgotten Marvel heroine who needs waaaay more time on stage than she has been getting of late. 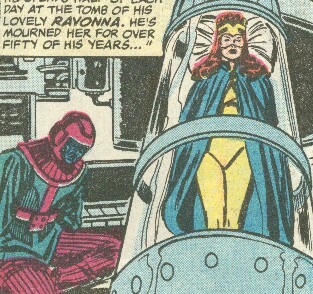 Princess Ravonna: I do not know nearly enough about Princess Ravonna’s history in the comics. I only “met” her in the original comics in my Marvel Masterworks # 3 volume and, briefly, in Avengers: Earth’s Mightiest Heroes. She was feisty and fierce in the comics, refusing Kang’s advances from the beginning. That was not hard to do, considering he is the galaxy’s conqueror in her time (the thirtieth century). The only reason he did not take hers and her father’s kingdom earlier is he fell in love with Ravonna on sight. Well, after conquering her kingdom anyway, Kang ended up freeing her to save his own empire. One of his lieutenants turned traitor, and Kang needed the help of Ravonna’s people to stop him. He couldn’t get that help without freeing her, which he would have done anyway because he really, truly was in love with her. Ravonna nearly died (or maybe she did die?) 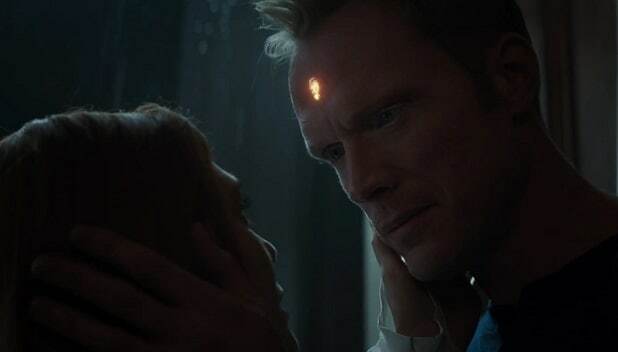 to protect Kang from said traitor’s bullet at the end of that adventure. 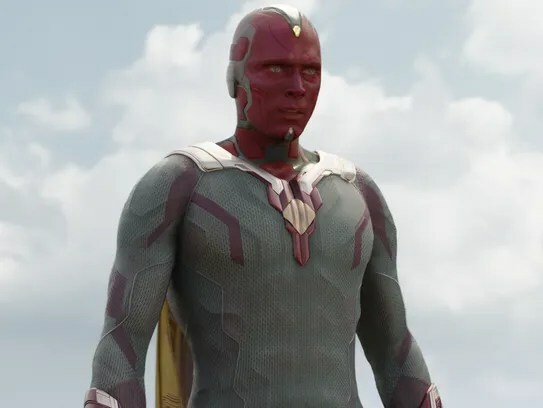 In contrast, we only see her walking and talking once in Earth’s Mightiest Heroes. And here, she was already married to Kang. 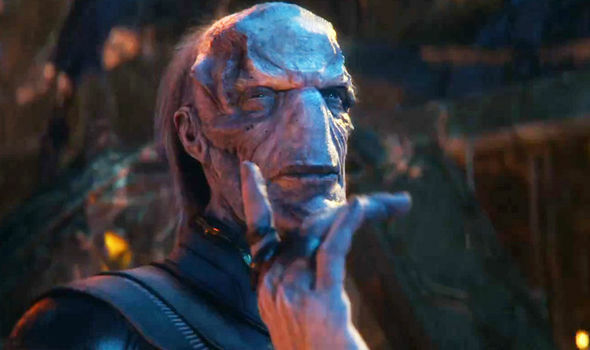 I do not want to spoil the series, but what happened to Ravonna led Kang to start giving the Avengers trouble in that show. It is a pity the writers have not brought her in to Avengers Assemble. I would like to see some of what she was before she fell for Kang. Maybe he would be less trouble for the team, too, if he fell in love with and married her. Songbird/Melissa Gold: While Songbird got to appear several times in Avengers Assemble’s third season, the fact is the writers did not allow her nearly enough time there. They also did not bring her back for season four, which has me seriously miffed. I have also totally lost track of Songbird in the mess that is the post-2015 Secret Wars comics, so I think she will fit in my under-used heroines’ post rather nicely. Melissa Gold grew up with an abusive mother. When she was a teenager, she ran away from home and got involved in an illegal women’s wrestling ring made up of supervillain girls like Titania. After a stint with this group, known as the Femizons, I believe, she joined up with a bunch of thieves who had been bionically augmented. Her augmentations were in her throat and vocal chords, which is why she took the codename Screaming Mimi, a play on the phrase and her childhood nickname. These enhancements allowed her to generate a high-pitched, earth-shattering, earsplitting scream. When she cut loose, it would be like having a jet engine passing you at five feet of distance – without ear protection. Using these enhancements, Melissa could also achieve a variety of effects against opponents by screaming a different note on the music scale. She could induce dizziness, vertigo, panic attacks, nausea, euphoria, stupor, and even blindness in her opponents by hitting different notes. Rapid oscillation between notes allowed her to combine these effects on a target. Naturally, she was immune to the results of her own power, meaning she never had to worry about being blinded or queasy when she screamed. Her boyfriend in the gang, Angar the Screamer, had similar implants, and so they were able to combine their powers in battle. But he eventually died when one of the band’s heists went wrong. When he died Melissa went into a hysterical fit and screamed her lungs out at the sky – for 43 minutes. This not only burned out her enhancements, it actually liquefied the plant life around her. Her burst of insane screaming formed a large blast crater as well, with her at its center. She was sent to prison after this, of course, and remained there for some time. Then the Avengers – and most of Marvel’s other heroes – got zapped to another dimension after defeating an über villain known as Onslaught. (Long story, very complicated, I don’t have all the details, and I find that whole event more than a little stupid.) After this, Baron Zemo broke Melissa and a bunch of other villains out of prison. 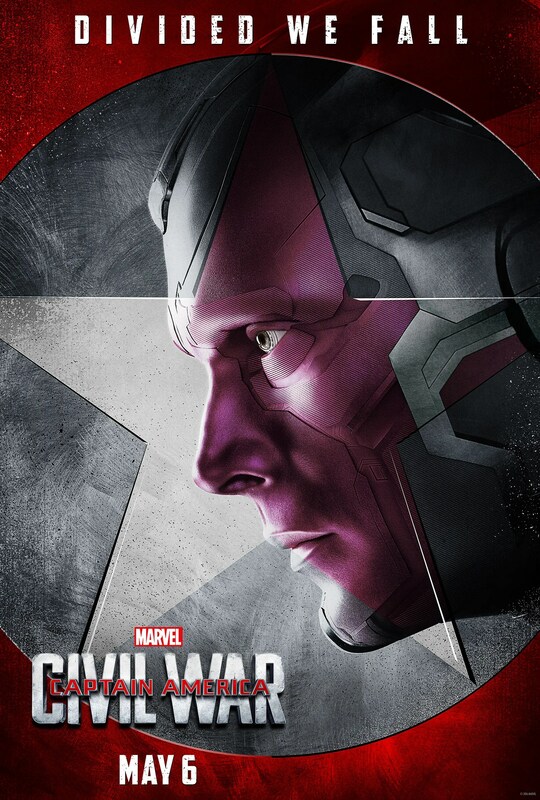 With most of the hero population in Marvel Comics gone, Zemo figured the time was right to take over the world. Interestingly, he decided he wanted to be subtle about it rather than glaringly obvious. He outfitted himself, Melissa, and the other villains in his crew with new identities, forming a “superhero” team known as the Thunderbolts. The idea was that they would fill the public’s need for heroes and, when everyone least expected it, take over the world. Melissa’s new codename was Songbird, and she was given new technological implants that allowed her screams to manifest as “solid sound,” which she could shape using her will. 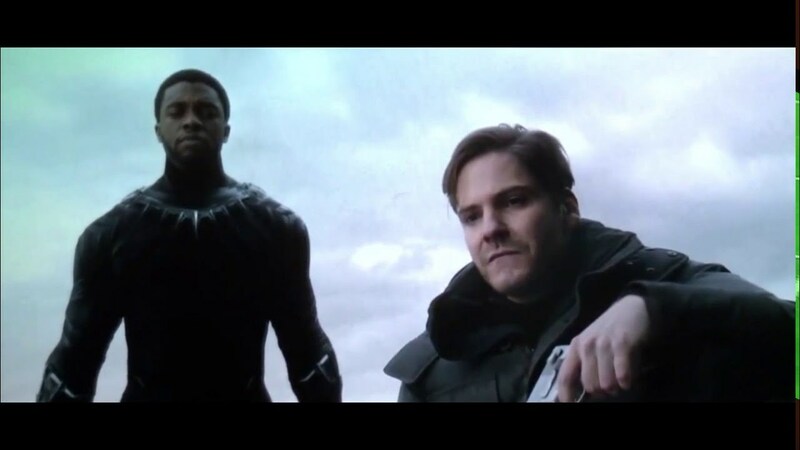 But Zemo did not count on the public adulation his new team received going to their heads and hearts. 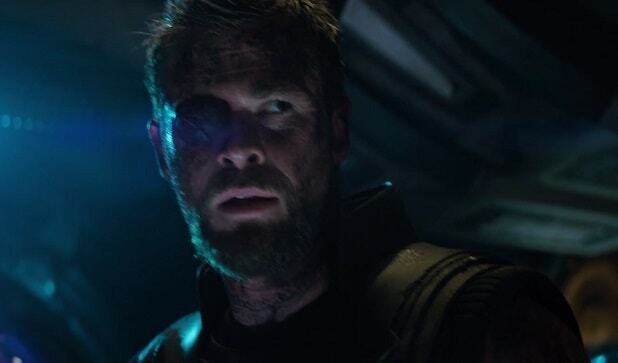 He also did not think the Avengers or any of the other heroes would return. So he got a doubly unpleasant surprise when the heroes came back from the alternate dimension at about the same time his team of supervillains decided to become real superheroes. Songbird was the only original Thunderbolt to make the transition to heroine and stick with it, no matter the personal price. Due to her time in the wrestling ring, she is a good hand-to-hand combatant and wrestler, and she has been physically enhanced so that she is stronger than a normal woman of her height, weight, and build. Her ability to make constructs out of “solid sound” and to fly means she is a tough opponent in a fight. If you want a demonstration, readers, check out the episodes where she appears in Avengers Assemble’s third season. They presented her well in that series. Even so I really, really, really wish they would make her a member of the team permanently. Songbird is a great heroine, and she does not get enough time in the limelight today.That is why she qualifies as an under-used heroine and is on this list, readers. Mary Jane Watson: Yeah, I know, she is not a super heroine. But MJ is still a cool girl, and she has had a huge impact on Spider-Man/Peter Parker’s life. It is too bad, to me, that the writers split them up. I liked having them married, and I liked the MC2 idea of them settling down to have a family together. Funny thing, I also did not mind MJ’s interest in being a fashion model. I was rather put out by the writers for Ultimate Spider-Man making her a wannabe reporter, instead of giving Spidey a photography position at the Daily Bugle, a job which he had always held in the past. While I am in no way, shape, or form a fan of fashion models or modeling in general, shoehorning MJ into Parker’s act for Ultimate Spider-Man just bugged me (pun intended). If they wanted to ditch Mary Jane’s desire for a career as a model, I think the writers could still have kept her character intact by making her an artist, a designer, or something of that ilk. 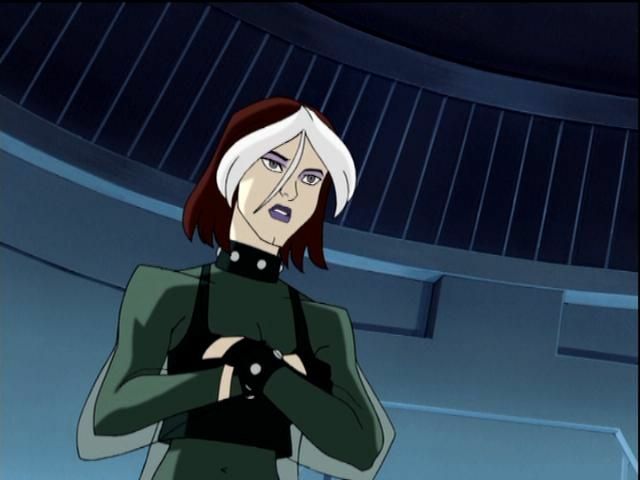 Mary Jane was tough and fierce, but she was also creative, and I missed that about her in Ultimate Spider-Man. A lot. That’s part of the reason why I never wrote any articles about the show here. All I would have done was whine about it. I do enough growling already with Assemble and the comics, so I figured you did not need to hear more of it, readers. Anyway, this is why Mary Jane Watson makes my under-used super heroine list. She does not have super powers, but she does have a tremendous heart and a quick mind. That is all any woman really needs to be powerful, readers. Well, I think this will do for the first half of my Under-Used Marvel Heroines’ list. I will take a break here and finish up tomorrow. Stay tuned to learn about more amazing Marvel heroines, everybody! You do not want to miss who comes next! This entry was posted in Marvel Comics' Characters and Stories and tagged Avengers, Avengers Assemnle, Cheyenne Indians, diversity in Marvel Comics, female superheroes, Firestar/Angelica Jones, Hawkeye/Clint Barton, Hela, Hulk and the Agents of S.M.A.S.H., Hulk/Bruce Banner, Marvel, Marvel Comics, Marvel Comics' Characters and Stories, Marvel Female Superheroes, Marvel Masterworks, Marvel movies, marvel tv shows, Marvel's X-Men, Mary Jane Watson, Mirage/Danielle Moonstar, Misty Knight, Princess Ravonna, She-Hulk/Jennifer Walters, Songbird/Melissa Gold, superheroes, superheroines, superpowers, supervillains, The Invisible Woman/Susan Storm Richards, Thunderbolts, Valkyrie, Wolfsbane/Rahne Sinclair on February 8, 2018 by The Mithril Guardian.